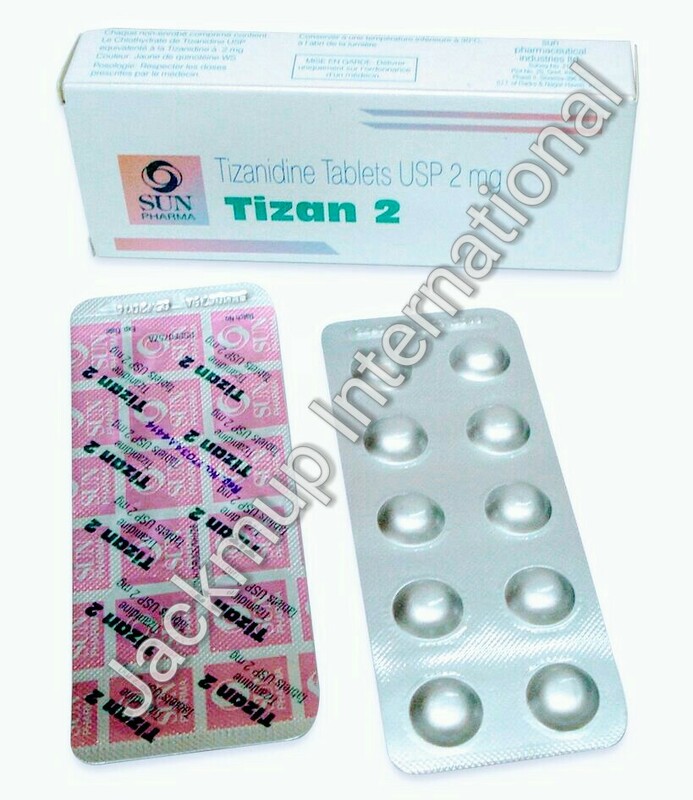 Description:- Tizan 2mg tablet is used for muscle relaxation.It works by acting on the centers in the brain and spinal cord to relieve the muscle stiffness or spasm. Do not drive or operate heavy machinery if you experience blurred vision, sleepiness, dizziness or low blood pressure while being treated with tizanidine. Do not start or continue the tizanidine and consult your doctor If you are pregnant, breast-feeding, or taking contraceptive pills. Side Effects:- Vomiting, Nausea, Abdominal pain, Skin rash, Allergic reaction, Altered vision, Back pain, Bruise, Bleeding, Dizziness, Depression, Drowsiness, Nervousness, Dry mouth, Fatigue, Heartburn, Altered heart rate, Slow heart rate, Increased sweating, Influenza like symptoms, Loss of appetite, Muscle cramp, Tingling sensation, Auditory hallucination, Visual hallucination, Weakness, Yellow discoloration of skin, Yellow discoloration of eye, Constipation, Diarrhoea.